Dan - Thank you for the review of LiquidPlanner. I really appreciate you noticing all the hard work our team has put into it. We spent two years building the product and many years before that as customers (victims?) 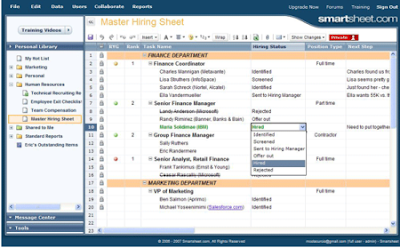 of other project management solutions including the ones we built ourselves using Excel, SharePoint, and Project Server. Fixing project management is a "wicked problem" but we're pretty passionate about solving it. I think you might be interested in checking out Wrike. It uses yet different approach to project management and allows having multiple views on the same project. Besides that, we designed it to bridge the gap between email and project management software. It would be great to hear your point of view on our product. The ultimate balance between ease of use and fundamental PM functionality is what we constantly strive for here at Clarizen. One should not come at the expense of the other as the end goal - team adoption, is compromised. A pure Web 2.0 and SaaS model are necessary in order to be able to attract project teams both via grassroot adoption from large enterprises as well as nimble SMB teams. This model has proven to be the key factor why customers are coming on board with Clarizen, leaving behind overly complex solutions (such as MS Project, AtTask, Daptiv and Primavera) or upgrading from basic solutions (such as BaseCamp, CentralDesktop and Zoho). Indeed, I do work for Clarizen but we will be glad to put in touch any interested party with reference customers who can attest to these statements. Thanks for the thoughts. I am just putting together a web project and will be working with programmers, strategizers and data entry personnel across the country and around the world. Have been using Basecamp but not quite satisfied and then came across Liquid Planner. Thinking I will try it out based on your recs. 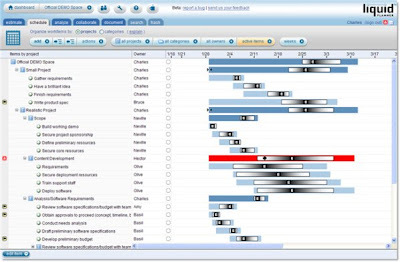 I think that it is worth giving a try to P2ware Planner Suite – project, programme and portfolio management software. There is a free demo version http://p2ware.com/en/Download.html. Also, WorkforceTrack.com is a good tool for project management and collaboration. We are using it efficiently and at affordable prices. I have used a couple of tools for some of my client projects, that we had worked on. Normally the client suggests the tool that we need to use and therefore we came across some of them. Some features have really impressed us, such as iteration in less projects and simplicity in ZOHO. Precisely every project tracking software has its specialty.